In this artwork we see inspirations of two artists Oscar Reutersvärd and Jos de Mey, who devoted their lives to impossible figures. 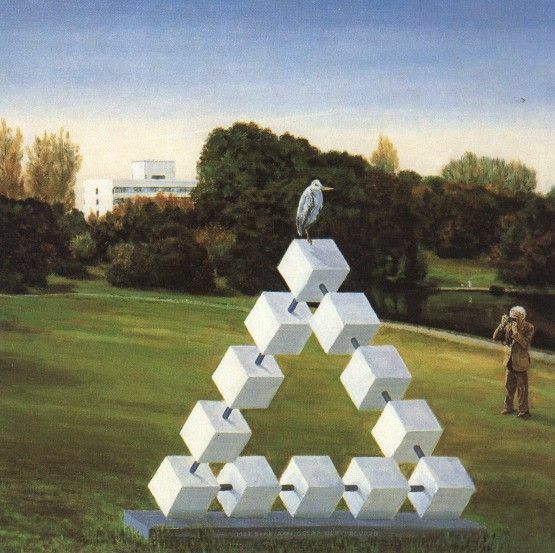 A Reutersvärd's version of impossible triangle is depicted on the foreground. A bird, which sits on it, reminds us artworks by Jos de Mey, who frequently painted them on his artworks.